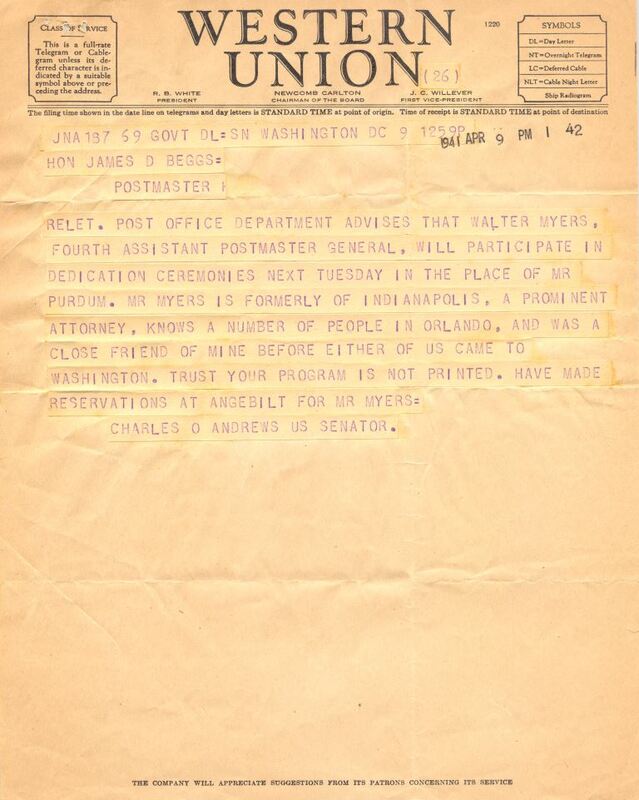 Original telegram from Charles O. Andrews to James. D. Beggs, April 9, 1941: Private Collection of Texann Ivy Buck. 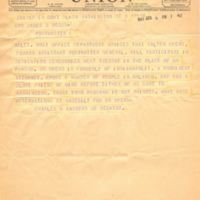 "Letter from J. D. Beggs to Walter D. Myers (April 9, 1941)." RICHES of Central Florida. https://richesmi.cah.ucf.edu/omeka/items/show/7615. Andrews, Charles O.. “Telegram from Charles O. Andrews to James. D. Beggs (April 9, 1941).” RICHES of Central Florida accessed April 22, 2019, https://richesmi.cah.ucf.edu/omeka/items/show/7614.